Are you ready for the next book in the Southern Eclectic series? 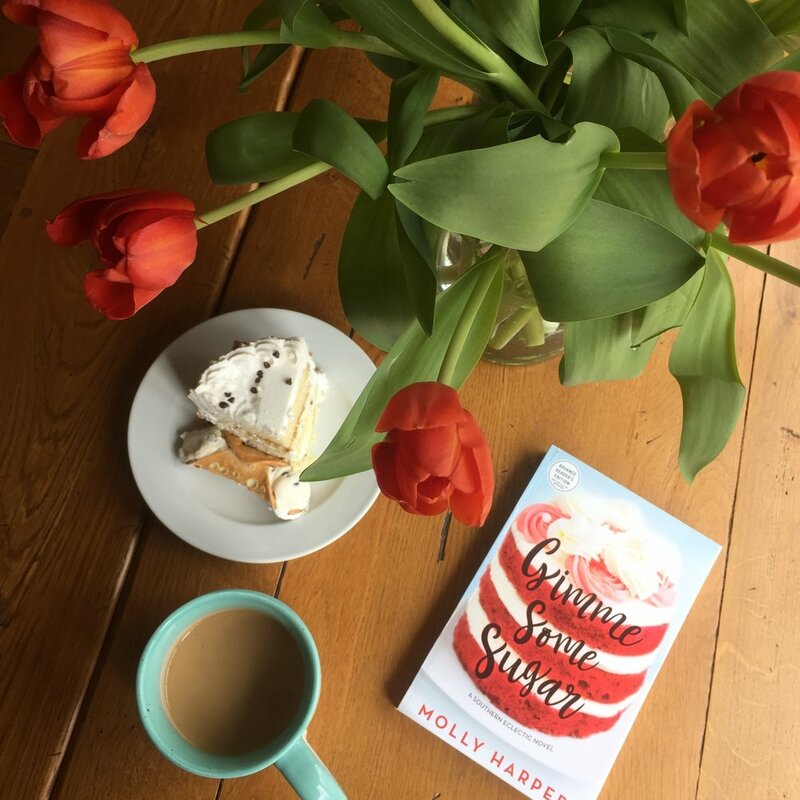 GIMME SOME SUGAR by Molly Harper is out today. It is about a young widow who returns to Lake Sackett, Georgia to face the ghosts of her past—and decide if she’s ready to take another chance on love. Can you handle it?!?! Check out an excerpt below before you one-click this sweet read. She turned . . . and screamed internally to see Duffy McCready jogging down the sidewalk of Main Street. Duffy had been her very best friend in elementary school. She’d neglected friendships with the girls in their grade so she could play trucks in the sandbox with Duffy. She shared the Goo Goo Clusters in her lunchbox with him and only him. And in high school, well, she’d harbored a secret crush on him that reduced her to some very embarrassing diary entries, not to mention late-night-call impulses that made adult Lucy very grateful Pete Bowman had never allowed his teenage daughter a cell phone. Duffy had been one of her favorite people on the planet for years and she was so glad to reconnect with him after their years-long separation. But Holy Lord, right now, she wanted him to either go away or go blind. She wasn’t evil or anything. Duffy moved to take the keys from her while Lucy tried to angle the box out of his line of sight. This brought her closer to Duffy’s tall frame as he hovered over her to work the lock. Between the warmth radiating off of his body and the smell of leather and cinnamon gum, Lucy had to brace herself against the brick to keep her knees from giving way. Settle down, girls, she warned them. That way lies madness and tears and a crazy ex-wife who tried to push you down the stairs in high school. Her knees argued that it had been a very long time since she’d been so close to a nice-smelling man. And Duffy was a reliable, emotionally stable sweetheart who wouldn’t mind a sniff or two between friends. Her knees were a very bad influence. Duffy grunted and managed to flip the key in the ancient lock. He turned to smile at her, his face only inches from hers. Her breath caught as she got her very first look at adult Duffy up close, and her knees were now giving her very bad ideas. Her childhood friend had turned into a hunk of something. About the Author: Molly Harper is the author of two popular series of paranormal romance, the Half-Moon Hollow series and the Naked Werewolf series. She also writes the Bluegrass ebook series of contemporary romance. A former humor columnist and newspaper reporter, she lives in Michigan with her family, where she is currently working on the next Southern Eclectic novel. Visit her on the web at MollyHarper.com.